2 posts categorized "Pet Peeves"
Victims advocates Eliot Pasik and Ben Hirsch talk about witness tampering and obstruction of justice in Lakewood on Zev Brenner's Talkline program last night. What's the Point of a JCC? The local Jewish Community Center closes for every holiday imaginable. From Labor day to the last (diaspora only) day of Passover, the place is locked tight. Yet it is open every Shabbat afternoon. It closes religiously at 5 pm every Friday, winter or summer, which means it is closed hours before Shabbat some summer Fridays and open well into Shabbat in the dead of winter. What's up with this? After much thought, and after asking older members, it seems to work out like this. Rabbis do not like competition. An open JCC is competition. Therefore, the JCC closes any day the Conservative Movement deems holy. Why the Conservative Movement? Because when this decision was originally made, the Conservative Movement controlled the Twin Cities Jewish community. This is no longer true, but the habit – lots of days off for executive staff, days off that do not count as vacation days, stuck. But the original move to open JCCs on Shabbat was backed by an unlikely source – Rabbi Eliezer Silver, head of Agudath HaRabboninm, the Union of Orthodox Rabbis of the United States and Canada during WW2 until his death in 1968. He led the famous Rabbis March on Washington in 1943 that led the US Government to create the War Refugee Board. The Board saved almost 200,00 Jews from the Nazis. 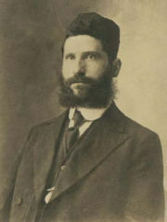 Rabbi Moshe Feinstein, who was there that day, would become the head of Agudath HaRabbonim after Rabbi Silver's death. Rabbi Silver argued that most Jews were not Orthodox. Indeed, many had no denominational affiliation at all. Yet, in his day, those non-affiliated Jews often belonged to JCCs. Rabbi Silver noted that if JCCs closed on Shabbat, these Jews would have nowhere else to go. Instead of joining other Jews in sports or recreational activities, they would go to shopping malls and pursue other forms of entertainment. Worse yet, they would do so in mixed company. This, Rabbi Silver argued, would increase intermarriage. To stop this, he ruled that JCCs could open on Shabbat (with some restrictions). But understand Rabbi Silver's ruling well. He argued that it is better for secular Jews to be together pursuing secular activities than it is for them to be on the streets, so to speak. So why this bizarre schedule from a modern JCC? It certainly makes no sense to be closed on the second and last days of Passover and Sukkot and the last day of Shavuot. It only makes sense if you view it from the perspective of Conservative rabbis. These days are not competition to the Reform Movement – it does not observe them. And Orthodox Jews will not come to the JCC on Shabbat or on any Jewish holy day to play sports or even to shmooze. It is only the Conservative Movement that is threatened by an open JCC. But there is even a more fundamental point. Many in the Jewish community are secular by choice. By this I mean that they have rejected the religion of Judaism. Yet they still consider themselves Jewish and affiliate as such. They are Jews by peoplehood but not by religion. Reform Jews pay the same dues everyone else at the JCC does. So do secular Jews. Yet they cannot use the JCC on days that are not holy to them. Rabbi Silver's ruling has been turned on its ear and the majority of Jews suffer as a result. Many of those Jews choose to join private, for profit fitness centers that are anyway far better run, maintained, equipped and staffed than the local JCC is. They don't need a Jewish calendar to schedule a workout. And they don't have to put up with sub-par, poorly (and I would say even dangerously) maintained facilities, either. No one gains from this except for the owners of those private facilities. The JCC's offices should remain closed on Shabbat and Jewish holidays. But – except for perhaps Yom Kippur, the first day of Rosh HaShana and (due to the late hour of the seder) the first night and day of Passover – its facilities should remain open. (And those facilities should be made safe and state-of-the art, as well.) Provide cultural and social activities and open the fitness center, as well. A Jewish Community Center is not a synagogue – it is a cultural center with fitness and sports facilities. It is designed to serve the entire Jewish population and it should begin doing so immediately, even if rabbis disagree.